As many of you may know I spend several hours in a California grape vineyard this March. It got me really craving some good grapes. Problem is that grapes in the late winter and early spring are really known for their great flavor. But their is one exception, one silver lining in a rather lackluster time of year for grapes. Thank God for Muscats (sometimes called Pink Muscatel Grapes). If you have never heard of them, they are a unique grape. They aren’t a red, green, or black grape they have a rosy color with a green background. Some are more green and some are more rosy, some would use the word pink. These Muscat grapes are Grandma Approved! What Do Muscat Grapes Taste Like? Muscats are easy enough to pick out from among the other grapes. Not only is their color unique, their flavor just as unique. I would describe it was kind of floral. The flavor isn’t for everyone – it’s one of those you either love it or hate it, not a lot of people sitting on the fence. I think they are super refreshing, especially during a time when all the grapes are from Chile and are serious lacking in any real flavor. How long do you have to enjoy these delicious grapes? 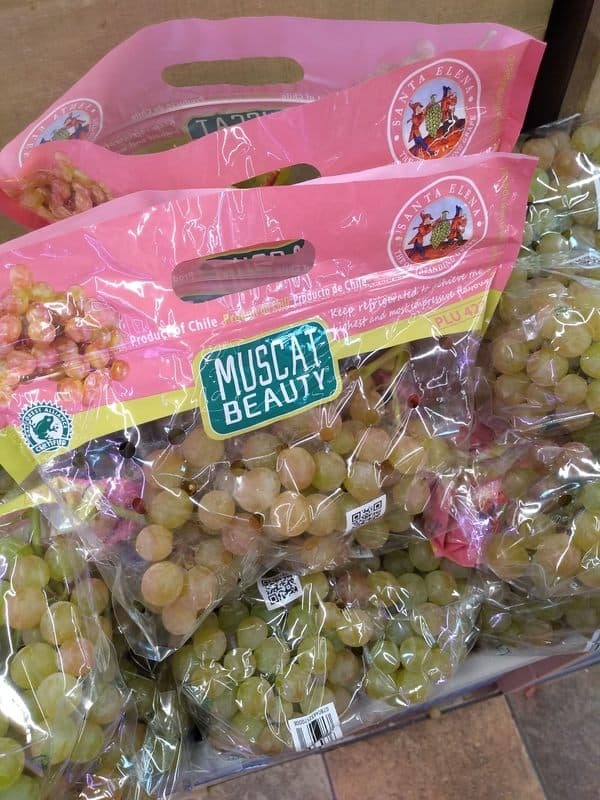 In 2019, I found Muscat grapes on sale for Amazon Prime members at Whole Foods Market. You might see some volumes of them beginning in late February and starting to pick up in March. April is the month where you expect to find them in large quantities. Right at the end of the season in May I find them to be at their sweetest – grab them in bunches then. I remember one season when they arrived the same day as Sumo mandarins did at my local Whole Foods market, which might just have been the greatest winter day in produce history! In the late summer/early fall you might seem some coming out of California, but I haven’t found any that match up to the quality of the Chilean ones. If you do find them from California, it’s usually only very briefly. The variety may not be the same either, but any California grape I have had labeled muscat has been a letdown. This is the only time you will probably hear me say some fruit from Chile is better than California. Muscats are surely a pretty grape. I love that rosy blush! 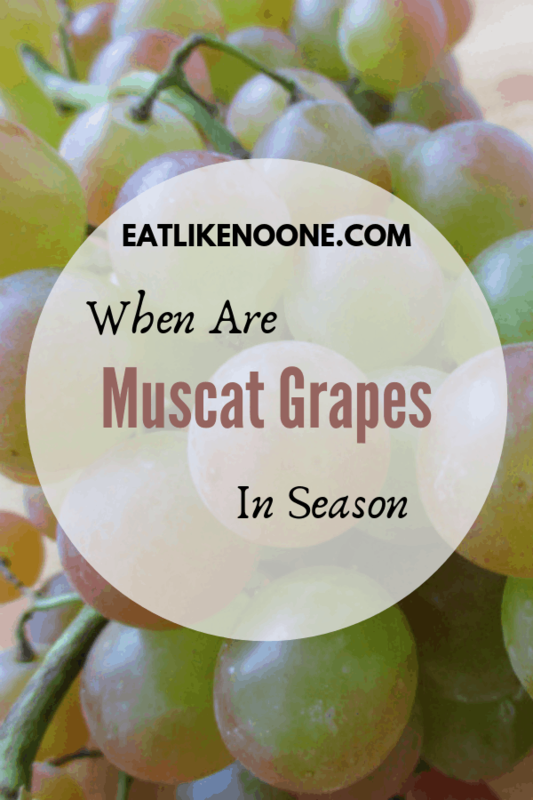 Where to Find Muscat Grapes? My main source has always been Whole Foods Market. They have been a big supporter of this variety and you should be able to find them in stores nationwide. The last seasons they have placed them on sale a couple times – which I really appreciate. Kings Supermarket, Fairway Markets, Baldor Specialty Foods, Agata & Valentina, Eataly, Dean & Deluca, Union Markets. 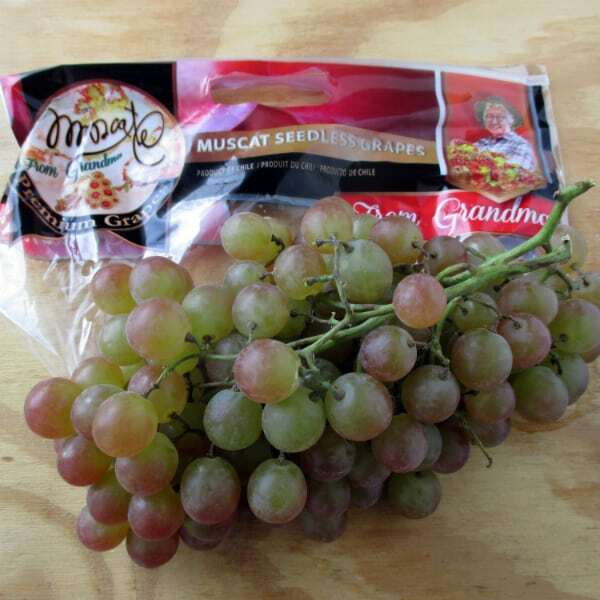 Have you found Muscat grapes this season? Help us out and leave a comment below sharing what store you found them in and the city. Thanks! 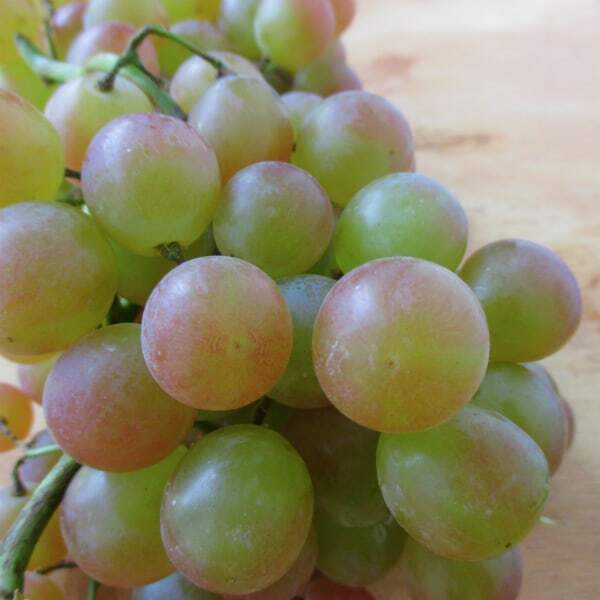 Interested in learning about great grapes throughout the year including the super popular Cotton Candy grapes. Join the mailing list. As far as I’m concerned, muscat grapes are the King of the Grapes. I absolutely love that flowery flavor and buy as many as I can afford whenever I see them anywhere. I keep hoping they will become more well-known and popular so as to become more widely available. I totally agree with you. I wish there were more widely available. I know some people that are totally put off by their taste. You and I know better! I see them on sale at my local Whole Foods for $2.99/lb and I as I’ve never had them, I did a quick Google search which led me to your blog. Now that I’ve read your enthusiastic review, I’ll be getting myself a pound. Do they hold up in the freezer and if so, how long do you recommend? Thank you. Glad you found me and the Muscats. I have never froze them before. I am not a fan of frozen grapes myself. What I have heard is they tend to turn brown after a while in the freezer. Eat them fresh first and enjoy them before you freeze any. You might change your mind and not have enough left to freeze them!! They are THE most flavorful grapes I’ve ever enjoyed.